Odelia Poole, Hampton Cove's premier reporter, teams up with Detective Chase Kingsley to catch the killer, but with cameras filming their every move, and every Kenspeckle a suspect, they're not making a lot of progress. Good thing Odelia's cats Max and Dooley can sneak around undetected, tracking leads and hunting clues. But first they have to pacify Shana's French Bulldog Kane, who just might be in possession of the clue that breaks the case. 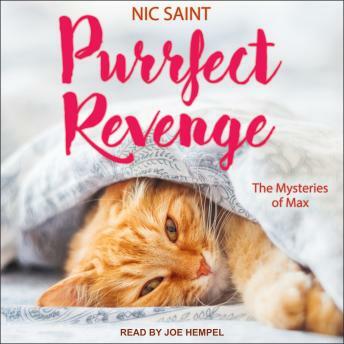 And they have to outsmart Chase's black tabby Brutus, who has his own reasons to find the killer. Will Max and Dooley solve the case? Or will Brutus beat them to it? And will Dooley finally get to first tail with Harriet?